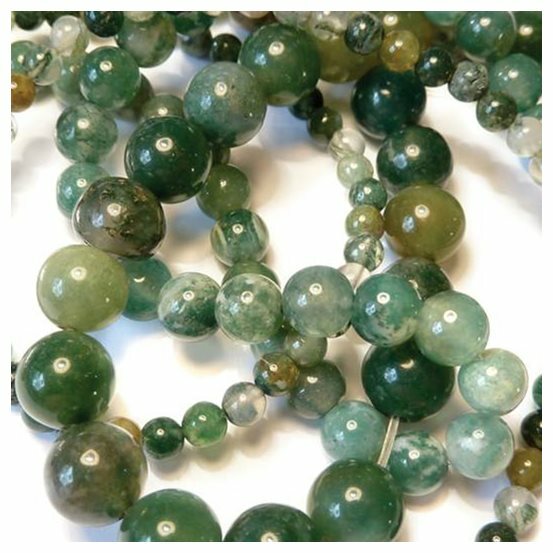 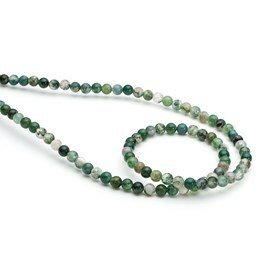 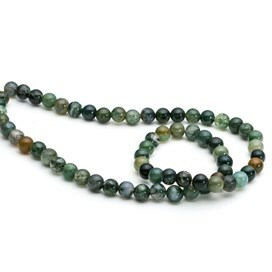 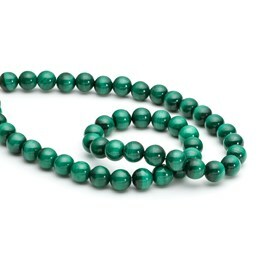 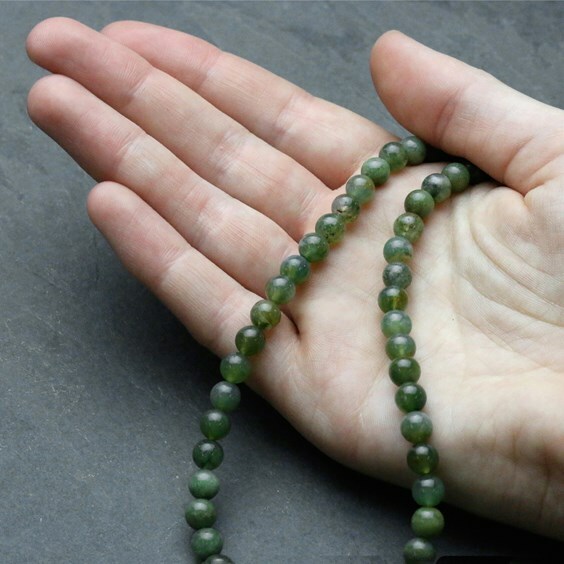 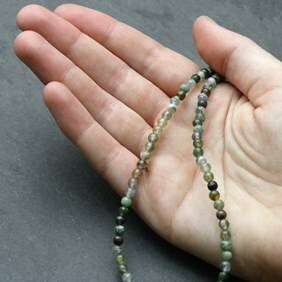 Green moss agate round beads ranging from very dark green to clear with the most wonderful little moss-like inclusions. 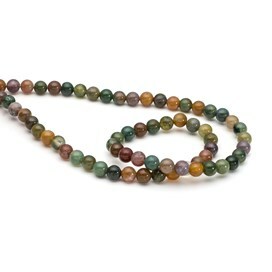 A 40cm strand of 4mm-5mm beads contains approximately 100 beads. 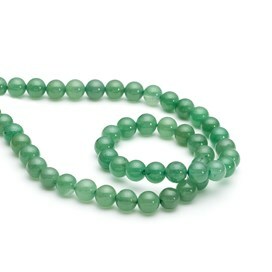 A 40cm strand of 6-6.5mm beads contains approximately 66 beads. 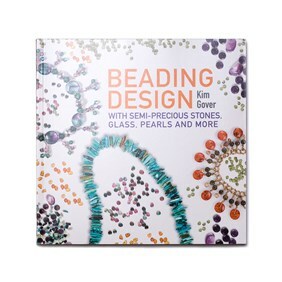 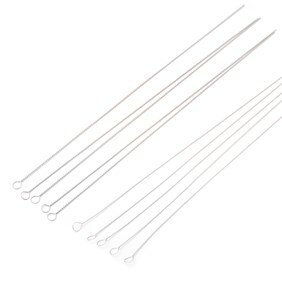 When you buy the 6mm beads by the strand you save between 35-37% compared to buying a pack of ten!